Breathing in that crisp fall air does much for the soul, but the natural autumn conditions can provide some danger in regards to motorcycle safety. 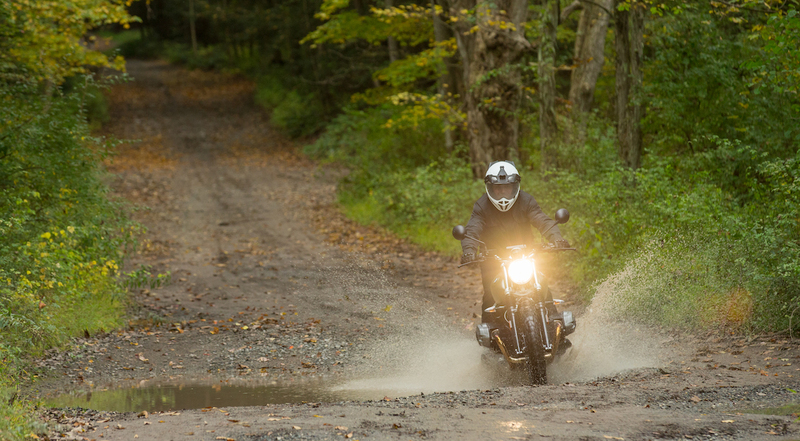 Don’t worry; we’re here to help you get the most out of autumn motorcycling by offering the top fall motorcycle riding tips. This is true on the road, but especially on the trails. Falling leaves create visual hazards, especially if they are wet. They can stick to your visor easily, or block a tree branch that’s extending into your path of travel. Don’t get distracted by leaves, regardless of how mesmerizing they are while falling. 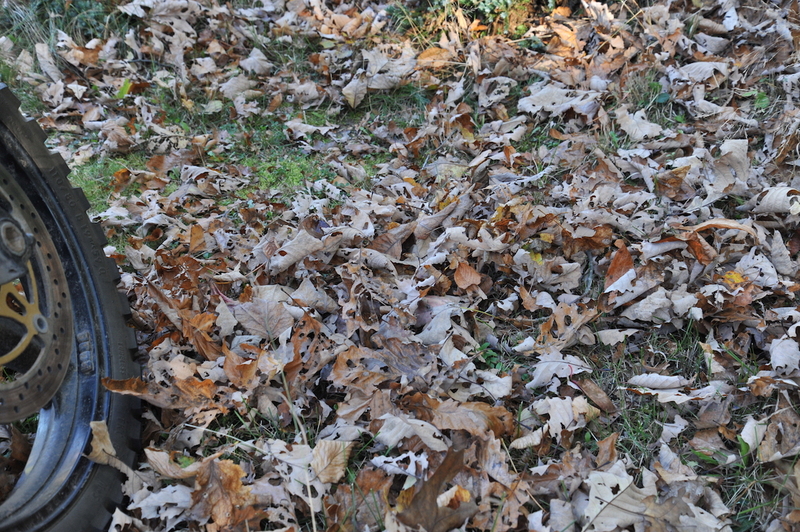 Leaves on the ground present as equal of a hazard as falling ones. 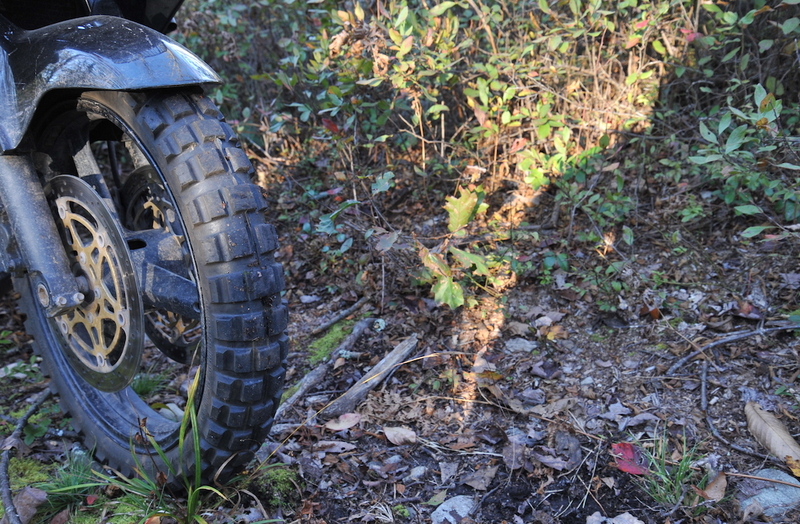 They cover up holes on the trails, rocks, or any other object protruding from the ground. On the road, also, they can cover up drain ditches and waterways. And remember that though leaves look dry, they ones on the ground are likely wet, which will quickly cause traction issues and a disaster on the trail. That says it all. Tires will come up to temperature with continuous riding, but it’ll take much longer. And when stopping the tires cool down much faster, which naturally creates less traction on the road. The off-road will also be slicker due to cooler rocks and dirt. 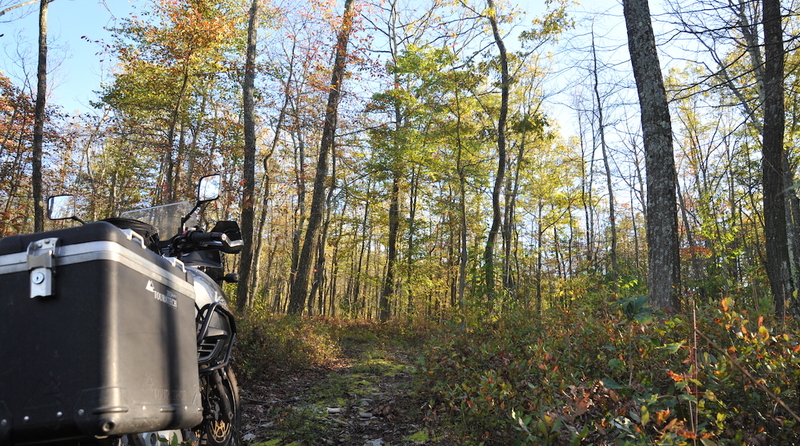 Layering is the only way to go during autumn riding. Start with good base layers and mid layers, and always pack along an extra fleece or something similar for added warmth. This allows you to easily adjust your comfort zone while out riding. Fall is the most unpredictable time of the year. You can be riding in pure sunshine at 70 degrees (F), and then it can drop to 50 and start raining. Even the light mist can penetrate your gear, so make sure your outer layers are up to par in the waterproof department. If you’re wearing gear that’s not waterproof, don’t forget the rain suit! Wildlife is more active searching for food in fall, which has them scattered. Deer usually feed close to roads, and their most active feeding time is dusk and dawn. Fall is a time for hunting, also, which will further scatter animals like deer and turkey. Work on maximizing peripheral vision to proactively recognize a threat and react, such as covering your brakes while slowing down, and always keep your eyes moving. Regardless of how warm the day temperatures can get, the mornings can provide some frosty conditions. Even the thinnest layer of frost can result in a loss of traction. Try to stay in the middle of the road since more frost will collect around the edges, and preferably ride in car-tire tracks. Remember, it’s autumn, and it can be 75 during the day and 40 at night. Plan accordingly if you’re going to camp–something we highly recommend due to the beauty. Just be prepared with a warmer sleeping bag, and find the most optimal place for a tent that won’t take on any water or morning fog. For more, check out or Fall Camping Tips. Now is not the time to question your thread depth. If the tread depth is less than 2/32 of inch deep, you need some new skins. The easiest way to find out is place a penny upside down in your tread grove. If you can see Lincoln’s hair, it’s time for a new set. As we said, concrete is colder, and traction is less. Add some rain and you’ll want to be channeling that water away from the surface of your tires. Weather conditions are very unpredictable in fall, and fronts moving in can drop temperatures in a hurry. Keep an even closer eye on your favorite weather app while riding, especially if you’re ADV touring and have some long distances to travel. This proactiveness is crucial to your riding comfort and safety, allowing you to plan a route around unstable skies, or find a hotel/campsite. There’s no denying the beauty of the autumn season. And there’s also no denying the best way to experience it – and that’s on a motorcycle. 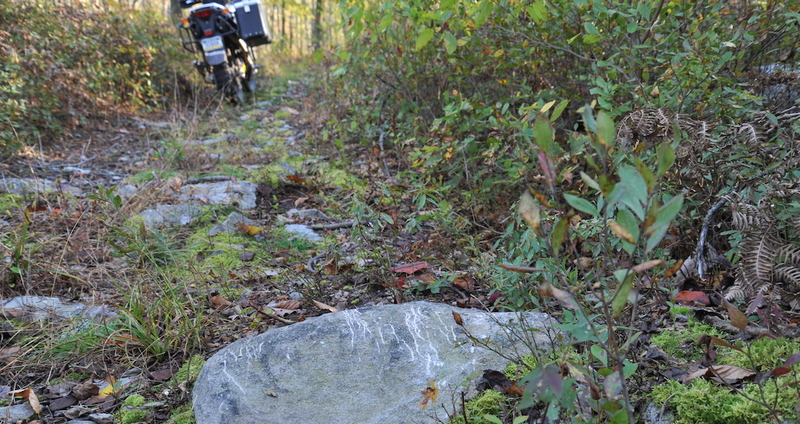 But some added risks arrive during the fall riding season, and preparation is key. Follow these tips to get the most enjoyment out of fall riding, and keep the lifelong riding memories growing.